Illustrated in the pictures above are the two major changes to the map's flow. 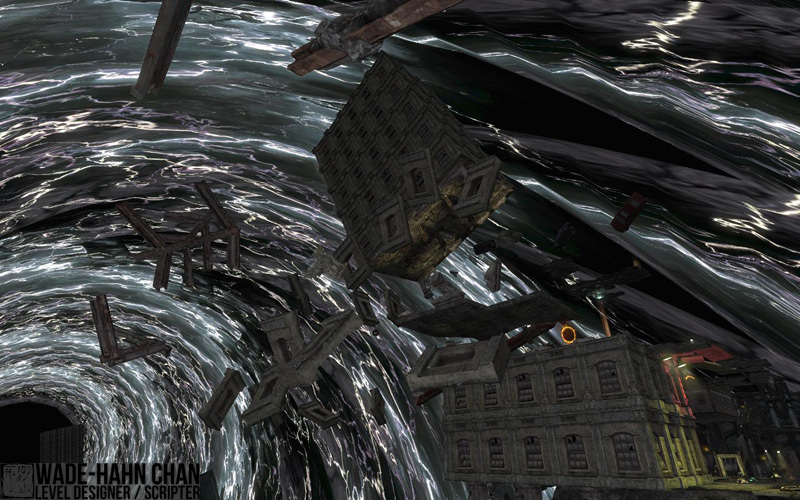 The second picture details the two new platforms at near the Quad Damage powerup on the top-most point of the map. The two platforms allow players to rain down fire on players below them, but also exposes them to fire from snipers. The original DM17 included a portal that lead to the second level platforms at the front of the map. Instead, a jump pad sends the player to the sniper platform. This allows for increased map flow to the sniper platform. Also, because the portal is now missing, capable snipers can pick off any players jumping up to the platform. 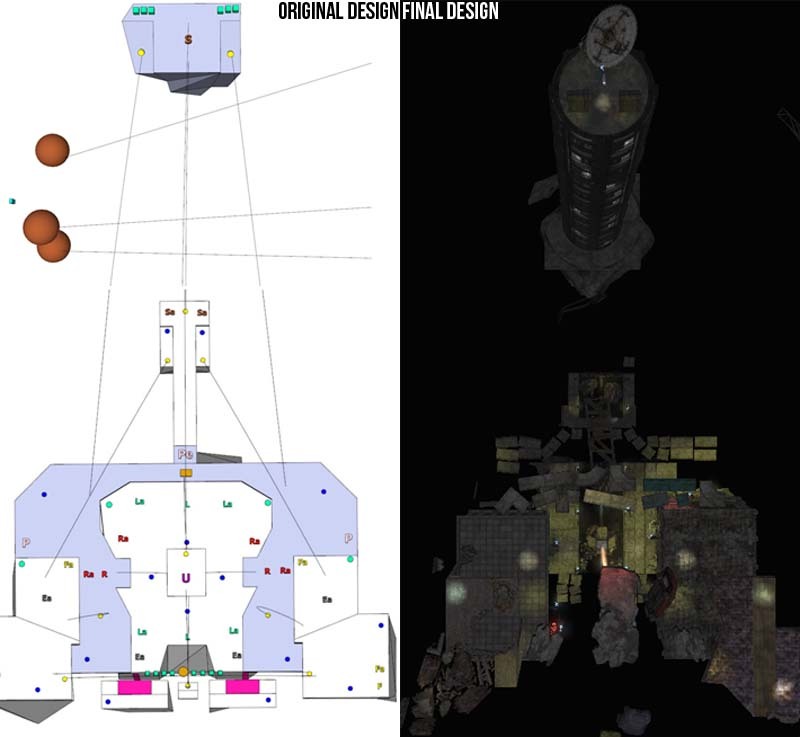 For an overall map layout comparison between the planned design to the final execution, click on the image below. Four new spawns were necessary to expand the map to encompass a larger number of players. The added movement options described in Goal 2 add sufficient enough areas to handle more players. Two spawns were added to the front of the map below the jump pad to the sniper spawn while another two were added to the rear of the bottom floor. These spawns give players just enough protection when spawning while still allowing them just enough mobility to go where they want to. The map has been carefully strewn with floating debris to represent a torn apart city street. Above is a picture of the right-hand side of the map, a blown-out hotel with the walls surrounding the area. Other details such as traffic signs and lit street lamps add a surreal atmosphere to the level.